So the Commuter Cycles crew turned up en masse to the Hurtsbridge ride and I noted with some interest that Tristram had brought his Rawland Drakkar. The big green thing with fat orange rims and huge tractor tires? Yeah, it was hard to miss. I must have ogled it a little too shamelessly because Tristram offered to lend it to me for the next weekend so I could take it for a ride. Riding it back home from Commuter on Friday I knew it was going to be an interesting weekend. 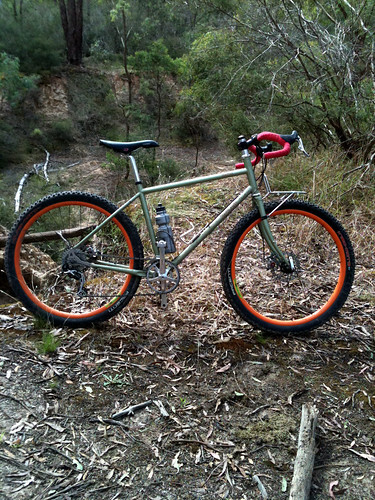 I usually ride a Surly Crosscheck, singlespeed, canti brakes, 30-35mm tires. This thing was geared and had disc brakes and the fattest bags I’ve ever ridden - 2.0 inch on the rear and a 2.3 inch monster truck tire on the front. That’s a lot of rubber for something that’s not a mountain bike. 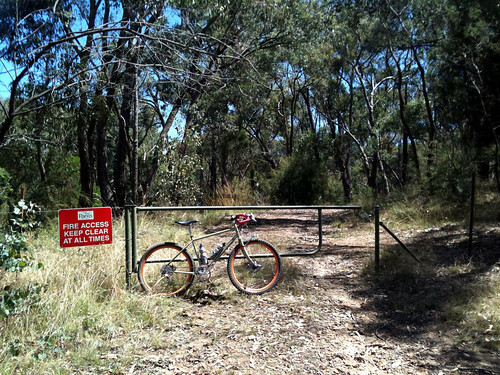 Or maybe it is a mountain bike? 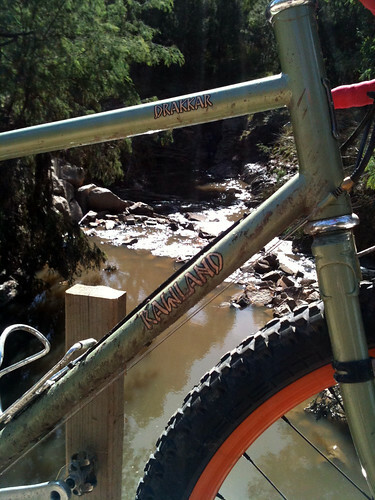 Rawland is basically one guy, Sean, based in Austin, Texas. 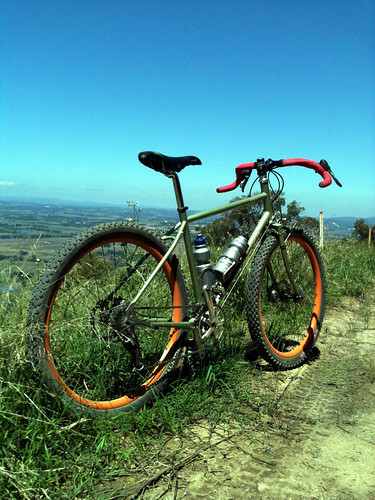 He specialises in “all rounder” bikes that you can do anything with - on-road, off-road, loaded touring etc. They’re steel, have huge tire clearance, plenty of rack/light/bottle/fender mounts and they generally have a signature long headtube which makes it easy to get your bars up nice and high without having a huge stack of spacers. 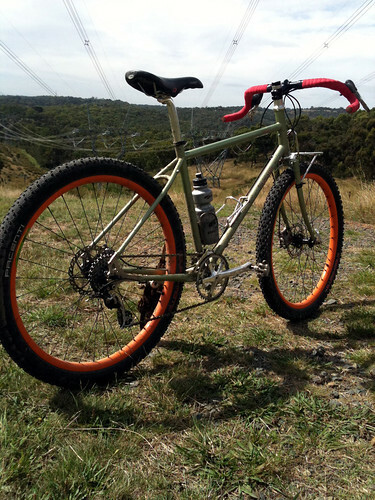 I think of them along the lines of a Surly Crosscheck - a practical workhorse - function before form - something you could take on long distance mixed terrain rides, touring, bikepacking, any sort of two-wheeled adventuring, roads optional. 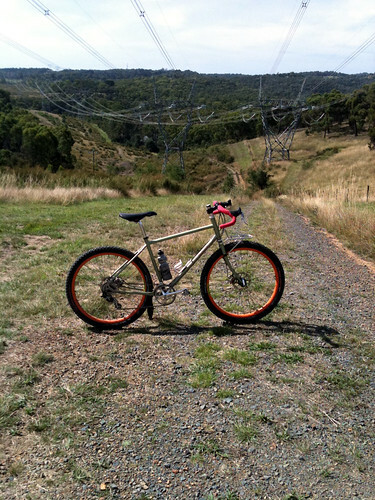 Saturday arvo I took it out on the Yarra Trails to Westerfolds and beyond to see how it would handle some fast singletrack. It was surprisingly nimble for its size and truck-like appearance. The frame was a little big for me but I could still get my weight around on it and get the front and rear up and down when I needed to. One nice surprise was the complete absence of toe overlap - I would have had to clip my shoe in backwards to get it to touch the front wheel - and the roomy knee/bar clearance. Nice. 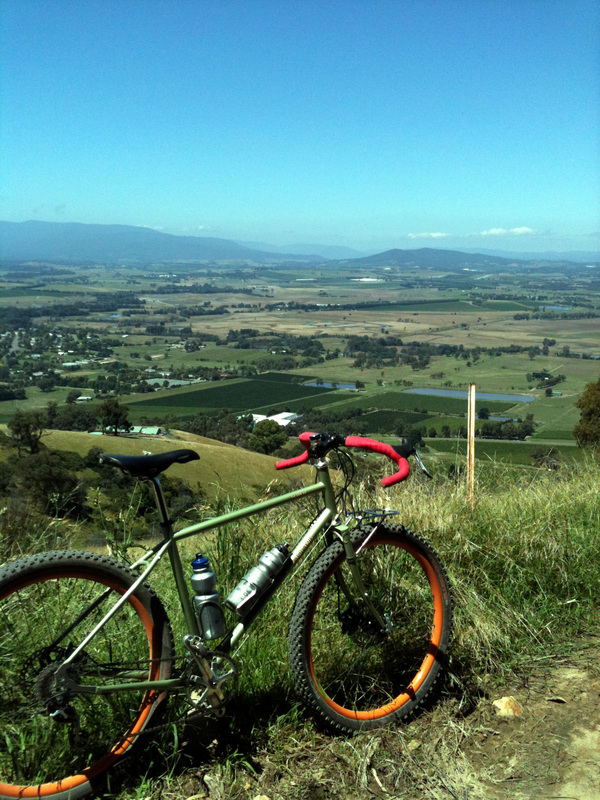 I should ride bigger frames more often. 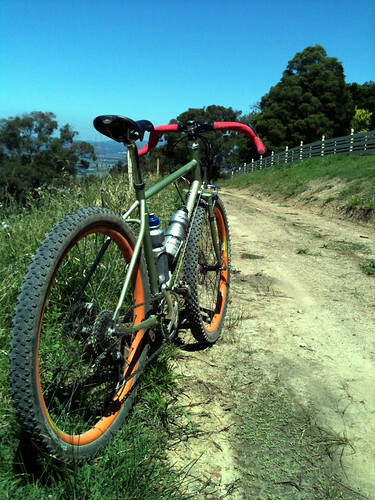 I tried to stay away from the brakes - they’re scary powerful compared to my cantis - so I just blasted through turns and let the tires do their thing - naturally following the lines of previous MTB-ers, leaning over into corners way more than I’d dare on my Crosscheck. Picking a perfect line seemed to become less critical because I was going so much faster and there was so much more cushioning and traction. Rocks, roots and bumps that I’d usually have to take notice of became irrelevant - that was just small stuff now - and I could focus more on the next corners and where to position myself for them. 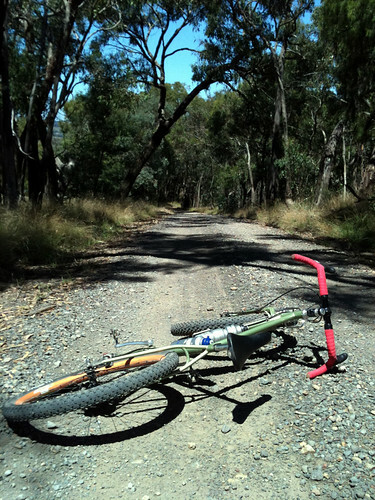 Ahhh, so is this what it’s like to be a mountain biker? Small tires mean you have to focus on small obstacles - bigger tires mean you can look at the bigger picture. 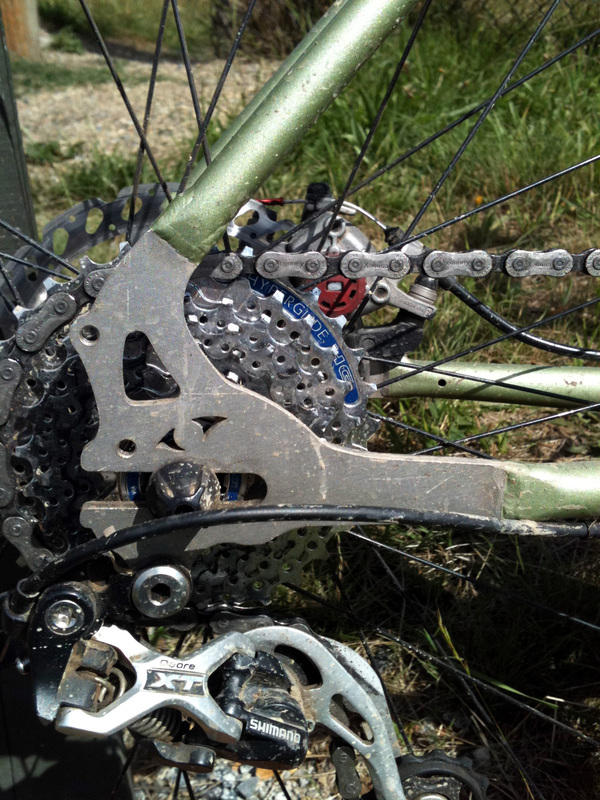 I’m guessing this effect is even more apparent when you move to hardtail, then dually etc. 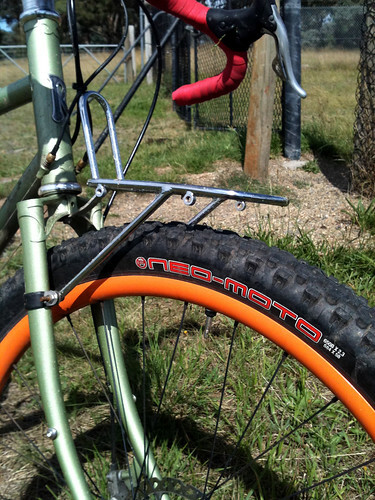 Pacenti tires - Neo-moto up front, Quasi-moto in the rear - running on Velocity P35 rims. The “P” in P35 stands for Pacenti too. Kirk Pacenti is all about 650B for mountain bikes - bigger than 26”, smaller than 29” (700c). 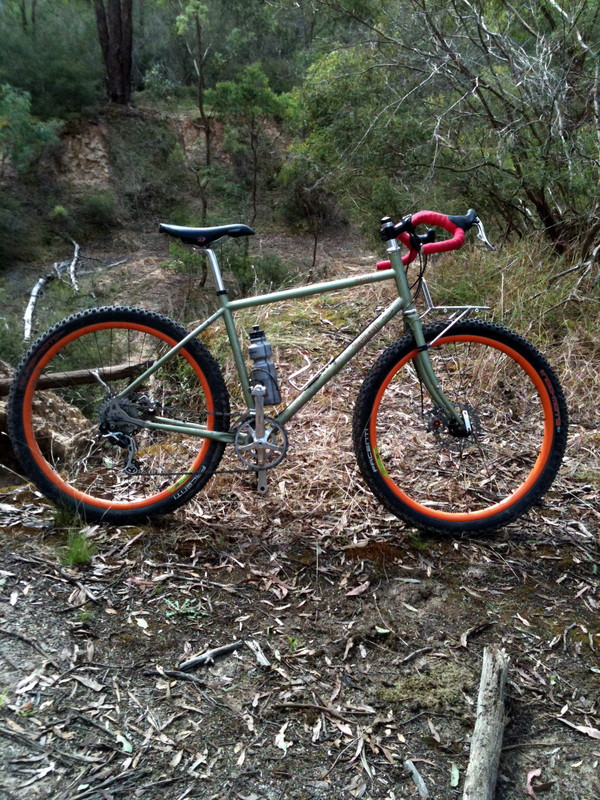 Next ride was out to Hurstbridge for some Gravel Grinders recon. Discovered One Tree Hill Road - a nice long dirt road climb and descent - and a whole bunch of march flies. The gears were handy for climbing around here - or maybe I only kept changing down because I could? Have to ride the same roads on my singlespeed to compare. The Drakkar was in cruise mode through these hilly dirt roads. The huge tires were overkill for this terrain but there’s nothing like big rubber to inspire you to go fast on the downhills. Cranked it past Sugarloaf Reservoir and up to Skyline Rd. I love that view out over the Yarra Valley. Donna Buang in the distance and planes flying down below around Lilydale airport. Sure beats working. 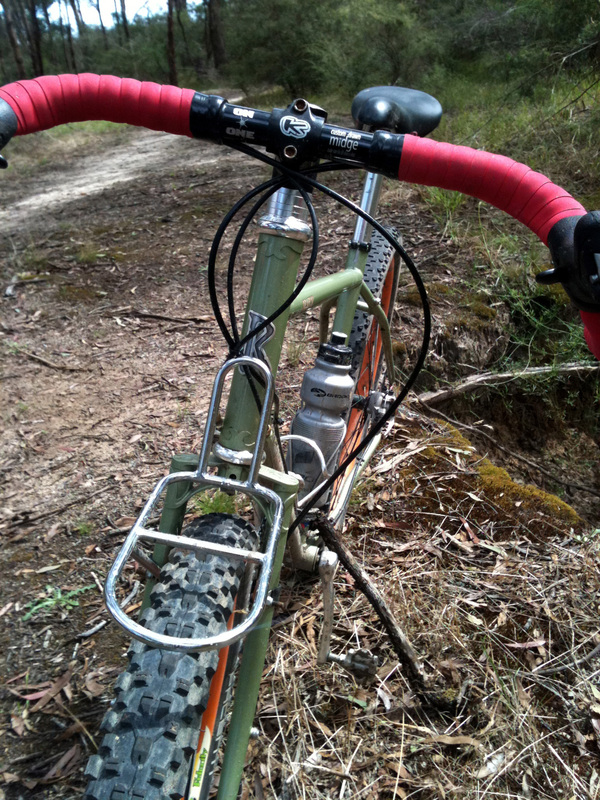 Who is the manufacturer of those handlebars? They look super comfortable. please tell me who makes the front rack. I need one for my new Drakkar.